M&M’s are a great way to add a splash of color to holiday-themed confections. 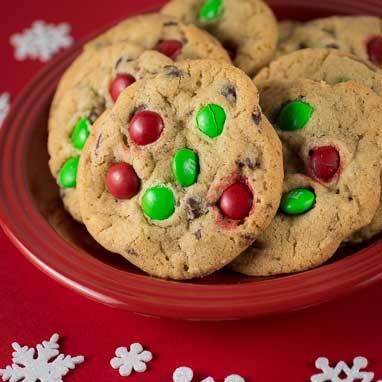 Red and green transform these chocolate chip cookies into a cute and quick holiday treat. Make sure the color comes through by reserving a few M&M’s to place on top of your cookies.